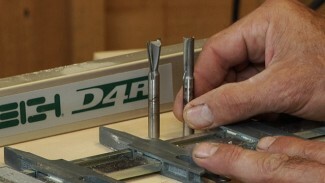 Learn how to set up for through dovetails using a Porter Cable dovetail jig. This is part two in a three- part series that will prepare you to successfully execute this joint every time. Part one covered the initial setup of the jig, and this video provides detailed instruction on how to cut the tail portion of the through dovetail joint using the Porter Cable dovetail jig. The next video in the series will cover cutting the pins and sockets. Dovetails are widely viewed as a hallmark of craftsmanship, and a durable form of wood joinery that many view as a pinnacle of woodworking techniques. 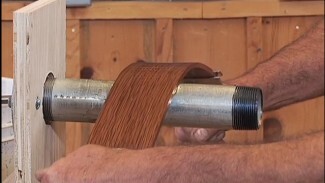 While some craftsmen cut these intricate joints using a mallet and woodworking chisels, many modern day woodworkers utilize the efficiency of cutting them using a router (an extremely versatile woodworking tool) along with a specialized router jig that is developed specifically for cutting perfectly interlocking pins and tails. Once mastered, the Porter Cable dovetail jig can make the process of creating properly fitting pins and tails a nearly foolproof endeavor. 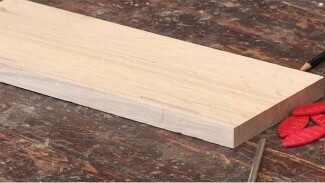 As with any aspect of the woodworking craft, however, dovetail joinery (even with a router jig) requires some knowledge and practice. This video provides the required knowledge. The practice is up to you. One of the most crucial aspects in properly milling a dovetail joint on the Porter Cable dovetail jig is precisely setting the depth of cut. If the depth is too shallow or too deep the mating pieces will not be properly aligned. 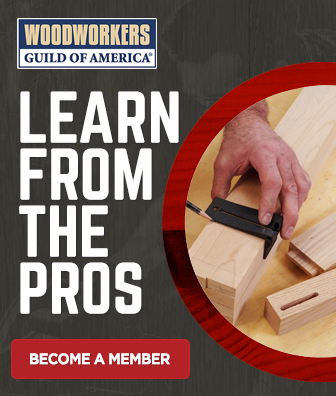 George will demonstrate a simple, fool-proof tip to getting this depth set properly every time, even when cutting dovetails using two boards of differing thickness. 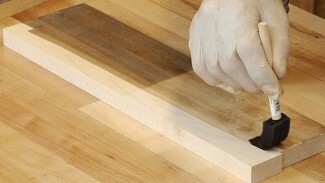 Once you have mastered through dovetails, we can also help you tackle half-blind dovetails using a Porter Cable dovetail jig.